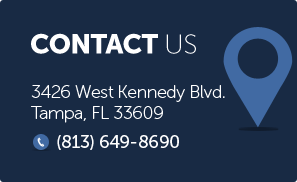 If you are an out of state resident who has been arrested in the Tampa area for the crime of DUI while visiting the State of Florida, you will need an experienced attorney to represent your interests. At the law offices of Finebloom Haenel & Higgins we have the resources available to assist you! How could someone be arrested in Florida for DUI if they don’t live there? It is very common for people who reside out of state to be arrested for DUI in Florida. Many of Florida’s enforcement techniques are more aggressive than that of other states. Between spring break, vacations, business trips and layovers waiting for outgoing cruises or flights, many tourists find themselves caught up in a DUI investigation and a subsequent arrest. What happens if I am not a Florida resident and I am arrested for DUI? If you are not a Florida resident, the DUI arrest process is the same as that of any other person. Where the problem may arise is with release on bail or on your own recognizance. Why might my release from jail be a problem? The purpose of bail is to ensure your presence at future court appearances and to make sure you will make yourself available to answer to the charge. If you live out of state, the Court may be concerned that you will skip out and not appear when requested. If you are on a limited budget and do not have the funds for a cash bond, the judge may be reluctant to let you out of jail because it would be difficult to make sure you appeared in Court. Will hiring an attorney help my release? Do I have to appear for all of my court dates? If you hire an attorney, the attorney may be able to appear on your behalf at future court dates. The attorney may also be able to arrange for you to enter a plea without returning to Florida. If you take the case to trial, you will have to return. If I plea, can I transfer my probation? In most cases you can perform the conditions of your probation in your home state. The exception may be if you are charged with a felony. Felony probation has special restrictions. What happens to my out of state license when I am arrested? The officer, at the time of arrest, will confiscate your license. This may or may not affect your return home. You will need to contact your local Department of Motor Vehicle office to see what it takes to receive a replacement. There are several states that have “reciprocity” with Florida. That means that most states will recognize the suspension of your license ordered by a Florida court. But you will need to check with your local Department of Motor Vehicles to get the information specific to your license. What if I live in Florida and I am arrested in another state? If you are arrested in another state outside of Florida, you will need to obtain counsel in that State. However, Florida will probably take action against your license. You will need to contact the Department of Motor Vehicles to discuss your driving privilege and whether or not the out of state arrest resulted in a suspension. If I have DUIs from another State, can they count as an enhancement for my current in state DUI arrest? If you have been arrested and convicted in another state for DUI, and you are arrested in Florida, the arrest and conviction from the other state may affect your DUI charge. It is imperative that you contact an attorney immediately to see how the out of state charge will affect your case. The attorneys of Finebloom, Haenel & Higgins have extensive experience in DUI defense. We also have experience in assisting clients who reside out of state and even out of the country. We can arrange for contact through phone, email or skype to discuss your personalized defense options. Contact us now at 813-200-4412 to arrange your consultation today!